More limited edition collector fragrance bottles, with the usual disclaimers: in most of these cases, the juice is unchanged, just the bottle is “special” (or not, as the case may be), and some of these may not be available in the US. 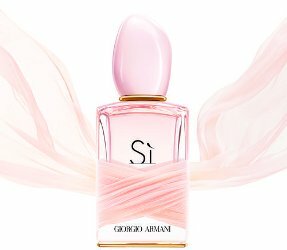 Today's post includes collector items from Jean Paul Gaultier, Clinique and Burberry, plus a new concentration for Giorgio Armani Sì. From Clinique, the latest iteration of Happy in Bloom. (You can see the 2012 version here and the 2013 version here). At Nordstrom, $49 for 30 ml. From Burberry, My Burberry in a holiday edition with red bow. In 90 ml Eau de Parfum, at Printemps in Paris, €113. (If you need more than 90 ml, Sephora in France has a 900 ml bottle for €2500). I am surprised that Jean Paul Gaultier never did a Pirate edition, for Classique and Le Male before. I can’t think of one since I started blogging, but it’s hard to believe he hasn’t done one! lol 900 ml!!! that is a mighty large bottle! And it’s parfum! So here again, we just need someone willing to organize a 30-way split, and everybody gets an ounce of parfum for 150 Euro each! If I need more than 90ml . . .
You never know when an extra 810 ml of My Burberry might come in handy! ‘Neo Jungle Blackcurrant Essence’. Sure. Ha! “Jungle essence” is just Mane’s version of headspace technology. lol..don’t like any of these bottles..Si is ok..but idk…too much pink going on. I thought the same thing. Because classic jungle essences are just passé. I wish I liked Classique better. Can’t bring myself to buy it just for the bottle. Yup. The bottles are often cute, but the frag does nothing for me.